The chief of police in the town of El Nido vowed Monday there will be more operations against illegal drugs under his leadership, stressing he will complete the arrest of street-level and high-value targets on his list. Chief Insp. 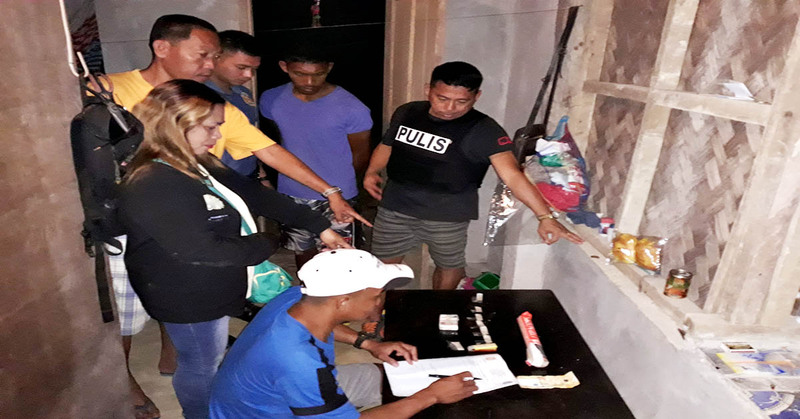 Thirz Starky Timbancaya, El Nido Municipal Police Station (MPS) chief, said out of the 34 suspected street level and HVTs (SL-HVTs) on their drugs watch list, they have already arrested and filed cases against 18 individuals so far. “New Year, renewed energy. Tuloy-tuloy ang operations namin para makumpleto ‘yong nasa listahan namin. So far, nakaka-18 arrest na kami at may 16 pa (Our operations will continue to complete the arrest of those on our list. (So far, we’ve made 18 arrests and there are 16 more),” Timbancanya told Palawan News. The latest to be arrested on January 7 was suspected street-level target Joey Abes at Sitio Nasigdan, Barangay Masagana, El Nido. Timbancaya said six sachets of suspected shabu worth around P12,000 were confiscated from him in a dawn raid following a buy-bust operation. Timbancaya said he might be transferred soon to Aborlan where there is a pressing drug problem but his commitment to complete the arrest of all suspects on their El Nido drugs watch list will not end with the reassignment. “Hangga’t andito pa ako, sisiguraduhin ko na makumpleto o kung hindi man maraming mabawas. Ang clean-up sa El Nido hindi lang sa environment, kung hindi maging sa drugs din. Maaliwalas ang kapaligiran, ligtas din ang mga mamamayan kapag walang drugs (As long as I am still here, I will make sure to complete the list if not reduce the number of individuals who are there. The clean-up in El Nido is not only about the environment, but it’s also about drugs. A clean environment and safe residents if there are no illegal drugs),” he said.